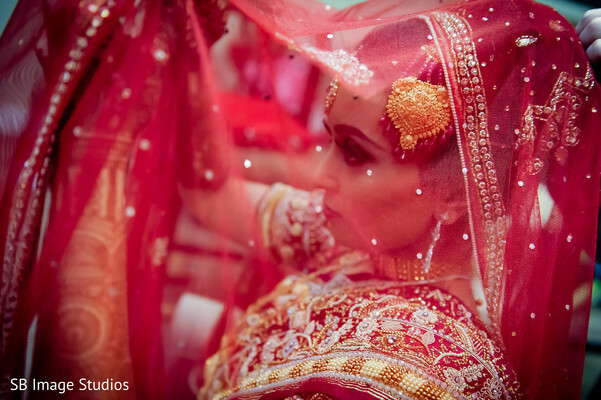 Looking at Maharani Nishath’s nikkah photos, I can just tell that this is one gushing bride. 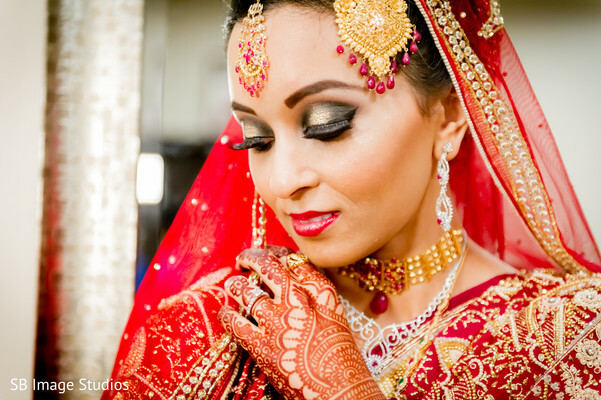 Here at Maharani Weddings we love modernized, sophisticated twists but, we adore embracing traditional culture. 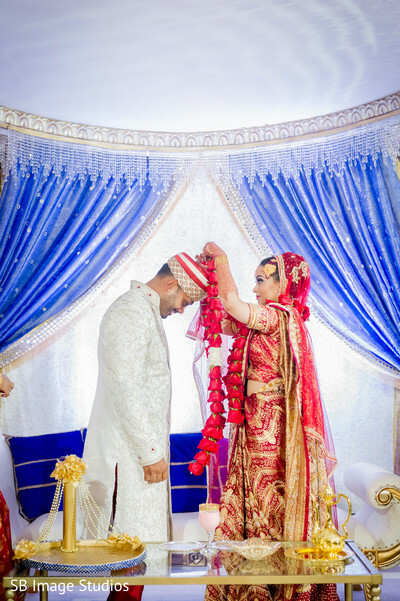 The bride opted for a full Pakistani bridal look complete with a large maang tikka, glimmering necklaces and of course the coveted, red and gold dupatta. 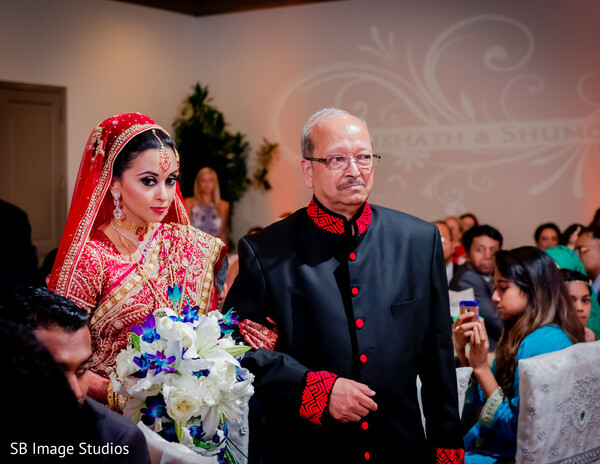 Nishath was sure to turn heads as she walked down the Sugar Creek Country Club to meet her groom. 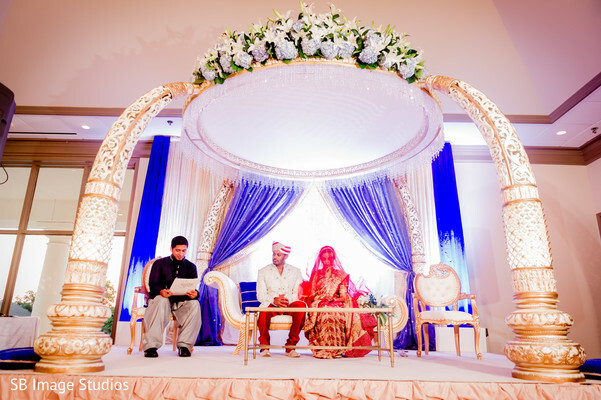 The venue was bedecked with an astonishing four pillar mandap that took center stage. Mandap Creations ensured that each floral and decor item was top notch and most certainly achieved a classy and sophisticated appearance to the venue. After the nikkah ceremony commenced, the bride and groom cut a gorgeous wedding cake baked to culinary perfection by Cakes by Gina. 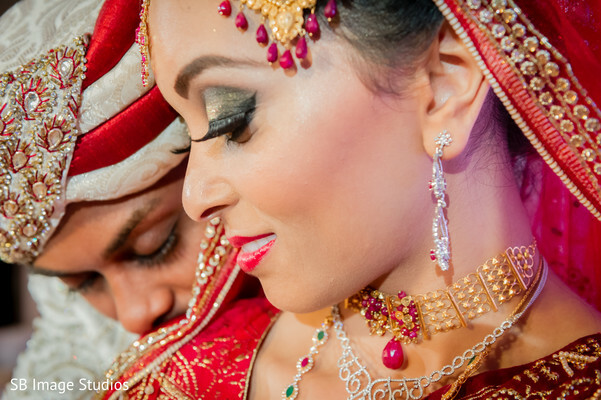 If you are seeking some bridal inspo, head into the gallery with all the images shot by SB Image Studios. What a gorgeous wedding! 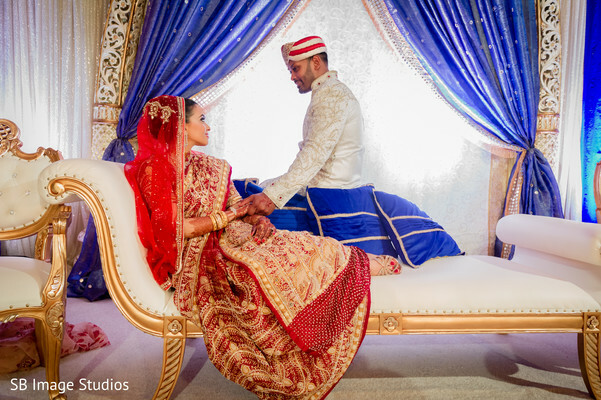 SB Image Studios never ceases to amaze us, check out their coverage of this Indian wedding out of Houston, Texas. See you all tomorrow! 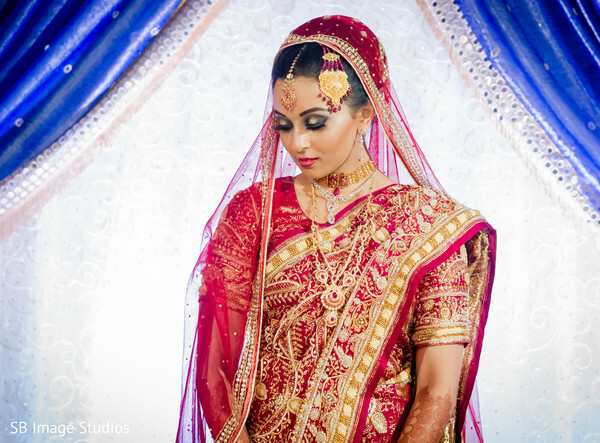 SB Image Studios and Mandap Creations are members of the Platinum Guide. Love what you see? Explore their portfolios.